It happens to the best of us. No matter who we are, what we accomplish, or how well we take care of ourselves, we keep getting older. For a while, many of us vigorously deny it. But at a certain point, as you purchase your senior’s ticket at the movie theater or realize everyone else in the bustling, new restaurant is younger than you, it comes to you: you’re now an “older person.” You may not feel it in your heart, but you sense it in your body, and catch it in the way certain younger people react to you. In certain shafts of uncharitable light, you may even be startled to see it in the mirror. But wait, we’re therapists. Maybe that gives us some kind of advantage in the process of moving into post-midlife. Perhaps there’s a special kind of occupational wisdom that gives clinicians an edge in coping with the inescapable phenomenon of aging—and dying. Or maybe not. In the conversations that follow, three prominent psychotherapists look unflinchingly at their own impermanence and the ways in which it’s interwoven with their longtime practice of therapy. With uncommon clarity and deep candor, they share how their experience with older clients has shaped their slant on their own mortality. They also look at the converse—how their own aging may be changing the way they approach psychotherapy. Do our clients’ infirmities threaten us? Allow us to connect with them better? Make space for something else entirely? Iconic existential psychotherapist Irvin Yalom, age 86 and author of the seminal book Staring into the Sun: Overcoming the Terror of Death, traces how his quality of presence with clients has changed over time. Erv Polster, who’s 95 and a prime mover of Gestalt Therapy, delves into a little-acknowledged element of older people’s inner lives—including his own. Joan Klagsbrun, age 72 and a leader in the field of Focusing-oriented therapy, identifies some of the subtle gender differences in the experience of aging, and shares how a client spurred her own wake-up call about how to approach the end of life more creatively. What unites these therapists is their remarkable comfort with the notoriously uncomfortable, even shame-ridden topic of aging. Sure, they understand the losses, indignities, and fear that accompany the process, but they also plumb the possibilities and, yes, the unsung pleasures of growing older. There’s nothing of Pollyanna here; these senior clinicians are walking the walk of aging and know its complexities firsthand. But what emerges from these conversations is something larger—a way of getting beyond our youth-obsessed concerns to tune into a more nuanced, dynamic, and often even joyful view of old age. For those of us who are already elders (or are approaching elderhood), it’s deeply validating. For many younger people—who can’t imagine how “old” and “joy” can exist on the same plane—hearing from them may be an enlivening education. Perhaps this is the most overlooked opportunity of aging—the chance to be a teacher. Until recently, the topic of growing older and facing our own mortality was closed, or at best discussed with thin-lipped stoicism. But as therapists—and as parents, siblings, and friends—we can open up the discussion on this stage in the life cycle as one that brims with both challenges and discoveries. We can do this in our conversations with clients and others, offering our full presence and support to make it safe to plumb the experience. We can also, perhaps more subtly but profoundly, do this work as role models. As each of us grows older, we can try to embrace the full possibilities of aging, even alongside its challenges. That’s a genuine gift for our clients as well as the important people in our personal lives, regardless of their age. And, lest we forget, it’s a gift we can give ourselves. PSYCHOTHERAPY NETWORKER: When you look back over all the years you’ve been practicing, what’s the biggest difference about your approach today from when you began 60 years ago? YALOM: What stands out most is that I’m so much more at ease with my own person, much more self-disclosing, and much more direct in how I connect with patients. For example, I recently saw a young woman who’s had polio since she was a child. I felt a lot of admiration for how she’d handled her illness and the courage with which she’d conducted her life. So I expressed that to her in a very immediate way. In my earlier years as a therapist, I probably wouldn’t have felt the freedom to express my personal reaction so directly. These days, I try not to censor myself or rigidly follow any particular kinds of rules. I find myself just being much more human and present and open with the people I see. I’m also more comfortable than ever going directly into the here-and-now experience. I don’t let a session go by without checking in with a patient about how the two of us are doing in that given session—if we’re somehow off or perhaps experiencing a special moment of closeness. PN: You clearly feel more comfortable with yourself at this stage in your career, but are there any ways you feel more challenged because you’re an older therapist? PN: Are there ways in which being an older therapist has enhanced the quality of your work? YALOM: More than ever, when somebody comes to see me in therapy, even for a single session, I have a sense of wanting to be generous, of wanting to offer that person something of deep value. I’m even more aware at this point of how being a therapist puts me in a privileged position of having access to the intimate lives of other people in ways that few people are permitted to experience. Over the years, I find myself valuing it more and more. PN: Is there something about being a psychotherapist that you find personally helpful as you face challenges in your own life around aging? YALOM: As most people age, they find themselves losing friends and family who are deeply important to them, and feeling more isolated. But part of the advantages of being a therapist is not feeling so isolated as you age. You can continue to be taken into the inner worlds of people and share so much of their experience of life. Being a therapist offers a doorway through which I experience intimate moments with people of all ages. PN: You’ve written so much in your career about facing mortality and life’s existential issues. Do you often feel a special quality of connection with people who are dealing with end-of-life issues? 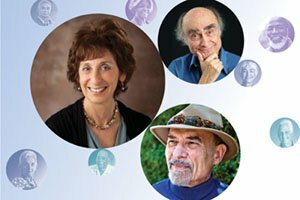 YALOM: I’ve had a lot of experience working with people facing terminal illness and nearing the end of their lives. For 10 years, I worked primarily with people who were dying of cancer, many of whom were old and isolated. Often people don’t know what to say to them, so they’re cut off. Also, they don’t want to drag everyone down with their fears and despair. I’ve learned how helpful for them it can be for me just to break through that, and to be intimate with them. I let them know that I feel comfortable with talking about death and facing the end of life. Years ago, I remember being quite struck by watching Elisabeth Kübler-Ross interview some very sick, dying patients, and opening the interviews by asking them directly, “How sick are you?” That way of going into the interview with them said in effect, I’m willing to go wherever you’re willing to go. You don’t need to hold anything back from me. I’ll go deep with you. PN: What have you learned about the biggest challenge people face as they try to deal with their own dying? YALOM: I don’t know that people have a fear of death as much as they fear dying. It’s the process they dread. Of course, many people who are religious believe in an afterlife, and for them, there’s not so much terror. But for most people, the biggest fear about the dying process is their loss of control and the loss of their own autonomy—the fear they won’t be able to move or will be physically isolated. Many, perhaps especially men, fear the loss of their sexual powers. But maybe that’s really about the loss of youth. For many people, the sexual thrust is what gives them the feeling of power and vitality. Seeing that fade away can be deeply demoralizing. PN: You’re not only a prolific writer, but also an avid reader. Is there something that’s been written about the experience of dying that’s especially affected you? YALOM: The one book that stands out is Tolstoy’s The Death of Ivan Ilyich. One of things that makes that novel so powerful is the main character’s recognition that perhaps he’s dying so badly because he’s lived so badly, and that there may be a chance to change that right up into the moment of death. As he begins to change the way he is in the world, especially with the young man who’s his caretaker, he comes to realize that he can live differently and live better, even to the moment of death. It’s hard to think of a more important insight that therapists can pass along to their patients who may be facing their own mortality. PN: After all these years of being a therapist, what’s a bit of advice you might offer our field about how we as a profession might enrich the practice of therapy? YALOM: Well, I’m afraid that I’m going to have to defer to Carl Rogers on that. As he always said, the important thing about psychotherapy is the relationship and the empathy, the genuineness, and the unconditional positive regard that the therapist brings to it. These days people talk a lot about empirically validated therapy, but there’s nothing that’s more empirically validated than Rogers’s assumptions about the therapeutic relationship. PSYCHOTHERAPY NETWORKER: Do you think that your experience as a therapist has given you any special insight into the challenges of aging? KLAGSBRUN: I’m aware of how lucky we are as therapists to have a front-row seat to watch the theater of life unfold. Even early in our careers, we get to interact deeply with people of all ages and at all stages of the life cycle. We get to step into their experience of what moves them, how they see the world, how they struggle. And with older clients, we bear witness to how they cope with aging and illness—some with bitterness and regret, others with integrity, dignity, and courage. We can learn from their struggles and their resilience. Several of my clients have been role models for me in facing illness and dying. PN: Do any particular lessons stand out? KLAGSBRUN: I had a middle-aged client, with teenaged children at home, who was critically ill and didn’t know how much longer he’d have to live. He said one day, “Feeling good about the life you’ve led really helps you face death, even when you’re dying before you thought you would.” That was a wake-up call to me—that living authentically and well could be a prelude to accepting our dying. Another client, the head of a big company, was aware that everyone who worked for her was witnessing how she was handling her illness and her dying, and that she’d become a mentor for them in facing this final chapter. She reminded me how we’re all teachers for friends and family when facing illness and death. Remembering that imbues the last chapters of our journey with even more meaning. Unlike many other professionals, older therapists are often viewed as having acquired more wisdom, as opposed to having become obsolete. Over the years, I’ve never had a client come in and say, “Oh, I’d rather work with somebody younger.” My husband sees a therapist who’s 89. My niece’s therapist is 86. We’re lucky to be in a profession where most people tend to work a lot longer than they would in the business world. In fact, I can’t think of many therapist friends who are ready to fully retire, although some now work only two or three days a week so they can spend more time with grandchildren or do volunteer work or political activism. Overall, they feel that being older, and all the experience that comes with it, creates a sense of confidence and comfort for their clients. PN: Not everyone has such an easy time with growing old. What have you noticed about people who really struggle with the aging process? KLAGSBRUN: For many people, the biggest struggle is letting go of who they were and accepting who they are now. A lot of the stress of growing older involves living in the past or fearing the future. I see the struggle elders have with retirement, with finding a new purpose for their lives, with accommodating new physical conditions and illnesses. It’s challenging to be slower in body and mind, to hear and see and remember less well, and to accept these limitations gracefully. People who can’t do that really struggle. I had a friend who played basketball through his 60s. As a younger man, he was so identified with being a basketball player who played for hours every week. But now that he’s in his 70s, he can’t do that anymore, and it’s a big adjustment for him. I think aging is a lot about letting go of old identities so you can discover new ones. PN: What have you learned about how to help people make the kind of transition you’re describing? KLAGSBRUN: As we age, I think it’s important to find contemplative practices that help us slow down in a way that feels positive. It could be meditation, qigong, breathing practices, Focusing, gratitude practices, or using guided imagery. Any practice that helps us settle the mind and accept what is will help us to better tolerate the losses that come with aging and appreciate all that’s still there to be enjoyed. Whether we’re facing hip replacement surgery or dealing with Parkinson’s disease or cancer or any of the myriad challenges that often come with growing older, mindful practices can help us cultivate acceptance and resilience. We all need to have tools that help us be with things as they are, even when they’re unpleasant or painful or simply uncertain. PN: Can you tell me more about the role models who’ve helped you as you’ve gone through your own aging process? KLAGSBRUN: I’m thinking about a client of mine who came to understand that there were important lessons to learn in the illness phase of his life. He was a natural helper in his congregation, but he was really terrible at receiving help himself. Then he was diagnosed with cancer and saw it not as a tragedy, but as a graduate course in learning to receive from others. He told me, “Sometimes I’ll be sitting with people for hours, waiting for chemo or during chemo, and we’ll have these profound conversations, where it’s hard to tell who’s giving and who’s receiving.” He felt like he’d finally learned how to take in love. Before the illness, taking in help and love felt like a present he just couldn’t open, but over time, he learned that opening it would deepen not only his life, but also the lives of the people who offered it to him. That was an important lesson for me because, like most therapists I know, I’m more comfortable with giving and helping than receiving. But aging kind of demands that we learn how to get comfortable receiving help from others. PN: Do you think that men and women have different ways of experiencing the aging process? KLAGSBRUN: As a woman, what makes aging positive is not doing it alone. The fact that I have a wide circle of women friends my age is enormously helpful. We bring humor and comfort to each other, and there’s a sense that I’m gonna be there for them and they’re gonna be there for me. In contrast, men don’t always have that ready resource of intimate relationships where they can share their vulnerabilities, and talk about worries and joys. Having said that, I think men are just as open to sharing if the opportunity presents itself. A colleague of mine offered to facilitate a men’s retirement group in his church, focusing on what’s brought meaning to their lives. He thought he’d get a handful of the more reflective men in the community, but 30 men showed up and come regularly. One other difference in gender around aging that I’ve noticed—though of course this certainly doesn’t describe everyone—is that generally, when women are thinking about aging, downsizing, dealing with illness, or even when they’re dying, they’re acutely conscious of how it will affect their adult children. Nurturing is so intrinsic to women that they think relationally at every stage. By contrast, some men in this same stage of life feel that their role as parents is less relevant than when they were younger. They tend to see their adult children as launched and involved in their own lives. Therefore, they’re less aware of the profound effect of their aging and illnesses on their children. PN: What do you think are the biggest pitfalls people experience in the aging process? KLAGSBRUN: One pitfall is holding on too tightly to what’s familiar and habitual, and not moving toward what’s new, fresh, and beckoning now. The former could mean not letting go of long-term friendships that feel obligatory but aren’t nourishing anymore, or continuing work that’s no longer meaningful, or not taking the opportunity to mend fractured relationships with family members where forgiveness may now be possible. Another pitfall is staying in denial about the changes that are here or coming soon. Sometimes that shows itself on a physical level, where people end up getting injured because they overdid an activity. Sometimes it’s a reluctance to plan for the future, thinking, Oh, that’s so depressing, let’s not deal with that. But talking about both the fears and the gifts of aging can be rewarding if we do it together. A new role for therapists that I think is exciting is to facilitate groups for aging, both for individuals and for couples. Participants can hear how others are dealing with the challenges of downsizing and retirement, and they can articulate the gifts, highlights, and even the regrets of their lives. These groups also offer an opportunity for people to talk frankly about their fears of getting old, as well as to share their hopes and plans for facing death as best they can. As I mentioned before, I’ve been impressed with the idea that we all become teachers for each other as we age. My mother was very courageous in the way she faced her death, and I learned a lot from her. PN: Courageous in what way? KLAGSBRUN: Well, she had advanced ovarian cancer and was in a lot of pain, and she knew she didn’t have much longer to live. So she asked her family for our permission for her to end her own life. She chose how and when she wanted to die. It was very inspiring that she knew the right time—when she was very sick and there was no more hope of recovery. She didn’t want the process to go on and on because she saw that my father was suffering, as was the rest of the family. She was an amazing teacher for me in that moment. When I went to visit her one of the last times, she said, “Ask me anything you want to ask me. Tell me anything you want to say.” It was such a precious moment of her being able to complete her life while also being tuned in to my needs. It really is a testimony to the shift that can happen when you no longer approach death as a kind of secret shrouded in shame. It can change your outlook on the whole experience. As we’re talking, I keep having this odd thought: What a fun conversation. Who would know we’re talking about aging and dying? PSYCHOTHERAPY NETWORKER: You’re 95 now and have been retired from practice for 20 years, so you have an unusually broad perspective on how therapists experience the different stages of their life and career. What aspects of your own aging process have had the biggest impact on your approach to psychotherapy? POLSTER: It was a gradual process, and I’m sure there were many changes over the years. Maybe the one I noticed the most was how I grew more at home with what I was doing. I didn’t have to think as deliberately about the relationships I had with clients, and I didn’t have to work so hard. It was like being at home. I no longer felt I had to be this way or that way to conform to some theoretical system. I didn’t have to think about the empty chair or about making up statements beginning with the word you. I was much more oriented toward the flow of the relationship between me and whomever I was working with. PN: Was there anything that became harder or more challenging? POLSTER: Even when I wanted to keep up with the new developments in the field, I found it harder to get involved with the latest innovations, like EMDR. I heard about them, but I wasn’t as motivated to explore them as I would’ve been 30 years earlier. PN: Are there some experiences you’ve had, whether in your practice or in your life, that have had a particular impact on your attitude about facing mortality? POLSTER: For most of us, facing mortality is pretty much a gradual process. But the first serious confrontation I had with it was when my wife, Miriam, was dying. In some ways, I experienced her death as a threat to my existence. We’d been married 52 years, and I just didn’t know how my life would proceed without her. When she died, I had this strange sense of incoherence about my being alive while she was dead. It was something of an introspective challenge to put those two things together. I never thought that I don’t want to go on if I can’t be with her, but I certainly had an accentuated sense of not taking things for granted in life. PN: Was there something about all those years of being a therapist that had a big impact on how you handled the challenge of losing her? POLSTER: Since I was never not a psychotherapist, at least not as an adult, it’s a little hard to say, but one of the things that shaped how I went through that experience was the therapist’s instinct to fit what’s happening into a context. Psychotherapy is a very special experience, and one behaves in psychotherapy from an introspective standpoint that one may not have in everyday life when things simply follow each other in the flow of time. So largely, life just flowed with all its happenings. But I was never unaware that I was heading toward a different stage of my life, and I didn’t know what it would be like. I must say, however, I never felt a lot of difference in my basic internal energy. The same energy that I had when I was five years old, I still had when I was 85 years old. I still have it now, even as I speak to you, at this very moment, at 95. That kind of vital energy has nothing much to do with the fact that I know I don’t have much longer to go. Engagement in the moment is the key factor for me. Being engaged in this conversation with you, for example, I could be 17 or 67—it wouldn’t make any difference. I’m not feeling fundamentally different in terms of excitement, or involvement, or absorption than I might have felt at any age. But when I’m not engaged, then my mind is very different. PN: What’s the biggest difference between your being in or out of the experience of engagement? POLSTER: You might say that as I’ve gotten older, I don’t have the same kind of—what shall I call it?—fluidity of opportunity. As a younger person, things would evolve more fluidly from moment to moment. There was a sense that there was always something going on. Often those experiences were arousing, and illuminating, and inspirational. These days I don’t have those options in the same way. I can’t decide to go out and just pick up batteries for my radio. I can’t drive, so somebody has to do it with me or for me. It’s a whole different ballgame. PN: Is there anything about all your experiences as a therapist that stands out as providing especially important learnings? POLSTER: The main thing I learned from being a therapist is that it’s really good to love what you’re doing. And for the many years I practiced as a therapist, I loved what I was doing. But to me, there’s nothing inherent about being a therapist that would be different from being, let’s say, an actor or an electrician, or any of the many things one could be. The important thing is that you love doing it. When I was younger, I thought I’d much rather be a major league ballplayer, but I’ve changed my mind, and I think I did the right thing. PN: What was it about being a therapist that you loved so much? POLSTER: I loved being engaged. I loved mattering. I loved digging deeper into the specifics of the moment. I liked the sense of being myself and also feeling like a member of the wider human community. PN: It’s been 20 years since you’ve practiced. What’s it like to have given up something that you loved so much for so long? POLSTER: I miss the action, but I never wake up in the morning wishing I could do a little psychotherapy today. When I retired and it became clear that I wasn’t going to take on any new clients, I could hardly wait to end my practice. PN: That’s a bit surprising to hear. What do you think that was about? POLSTER: I don’t know, but I think it was just a matter of the commitment. For me, there was something appealing about being free of the commitment that comes with being a therapist. Although I loved doing the therapy, at some point I didn’t like that I had to do it every day. I had no freedom to respond to some personal need on a particular day. One day I even had the thought, I’m going to tell everybody that if they’re in therapy with me for as much as a year, there’ll be three times that they’ll come in and I won’t be here. Of course, I never said it, knowing how painful it could be for some clients, but I did have that fantasy about giving myself some freedom in that sense. So when you’re talking about what happened at the end of my career, it wasn’t that I was no longer enjoying doing therapy. I just didn’t want the commitment. PN: At this point in your life, do you find that the way you think about death has changed? POLSTER: The concept of ending is a difficult one to think about. I don’t believe in the afterlife. So when I die, I imagine it’s going to be like someone has turned out the lights. Basically, it’s a strange paradox. Of course, I care what other people will feel, but I won’t be around to have a part in it one way or another. Things matter only because they matter, not for any larger reason other than that it’s in our nature for things to matter. So when I die, after I die, it’s not going to matter. But before I die, it matters. I’m aware that I’m very close to death and that it could happen any time. But I’m not especially distracted by it, except when I’m not engaged in my day-to-day life. Then it occurs to me more, and sometimes I feel some fear about it. But most of the time I feel nothing much about death. It’s like it’s just a thought. Maybe the most important thing I’ve learned about growing old is that when you’re old, you’re old, but you’re still alive, and well, life is life.